This boneless mustard pork chop recipe cooks up quickly but has all the classic flavors you'd expect from traditional German fare that sometimes takes hours to cook. Try preparing it on a busy weeknight, it's that fast. While the yield on this recipe is for 2 servings, it easily can be doubled or tripled. Mustard is the ultimate German condiment so it's a natural in this recipe. German recipes also call for whole mustard seeds, which are mild and even nutty tasting before they are used in prepared mustards, heated or in marinades. Styles of German mustard include Bavarian Sweet Mustard, Medium Spicy Mustard and Sharp or Spicy Mustard. Mix 1 to 2 tablespoons all-purpose flour or rice flour with 1/4 teaspoon salt and a dash of freshly ground pepper. Dredge 2 large boneless pork chops in seasoned flour mixture. Shake off excess flour. Fry 1 ounce minced bacon until crisp, remove from pan and drain on a paper towel. Fry chopped onion in bacon fat until translucent. Push onion to one side and add pork chops to pan and fry 3 to 5 minutes on each side (depending on thickness). 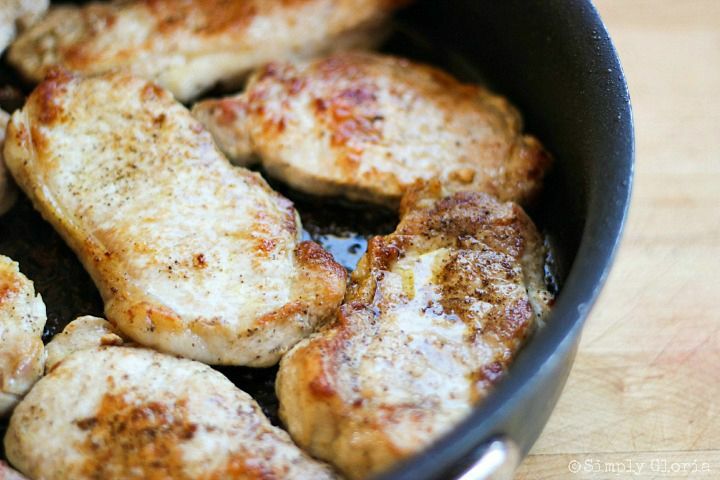 Remove pork chops from pan. Add 1/4 cup dry sherry to pan and scrape to remove the browned bits. Add 1 cup heavy cream, 1 tablespoon spicy or sweet German mustard, 1/2 to 1 teaspoon Hungarian paprika, reserved bacon and pork chops and cook for several minutes to reduce cream. Season to taste and serve with potatoes or a rice dish like risi pisi and a plain vegetable like braised cabbage, perhaps.